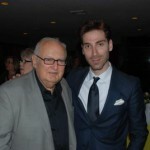 Opus1films produces films about known and lesser-known music, with a special focus on early works by contemporary composers. During the summer of 2000, just after I graduated from college, I was invited to perform a solo recital at the Festival of the Hamptons on Long Island, NY. The festival’s director, Lukas Foss (1922-2009), prefaced the invitation with the condition that I play a piano sonata by Donald Harris (born 1931), his friend and colleague. 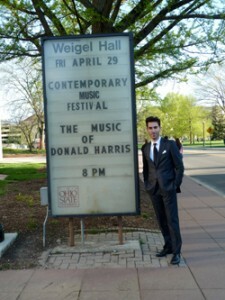 I did, and then met Harris immediately following the recital. Although I had finally met Harris in person, I had first discovered him through this music, his first professional composition finished in Paris in 1957. 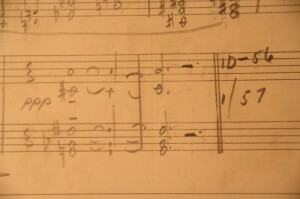 This Sonata is Harris’ first independently composed work, completed after he left Nadia Boulanger’s studio and before he began working with Max Deutsch. In Harris’ own words, he loved every note; he caressed every note, and he felt liberated to compose freely in a style of his own choosing after an unremarkable start with Boulanger. Since that first performance, I have played the Sonata many times, and have even written analyses detailing the music’s intricate structures. More importantly, I have grown to love the piece. This film was born out of the desire to make intimate and understandable a music whose aesthetic is complex and whose language is atonal. I wished for the film not only to explain what circumstances lead Harris to compose the Sonata, but also to expose an audience to the work’s intellectual vigor and subtle emotional beauty. In effect, I hoped to make clear why this difficult and intricate music so captivated me. In these ways, the film is also an unfolding composition, one in which its uncommon protagonist, the Sonata itself, is assembled gradually from fragments into a complete, meaningful, and freshly interpreted performance. Copyright 2011. opus1films. All rights reserved.